This is another photo of our visit to the beach in mid May of this year. 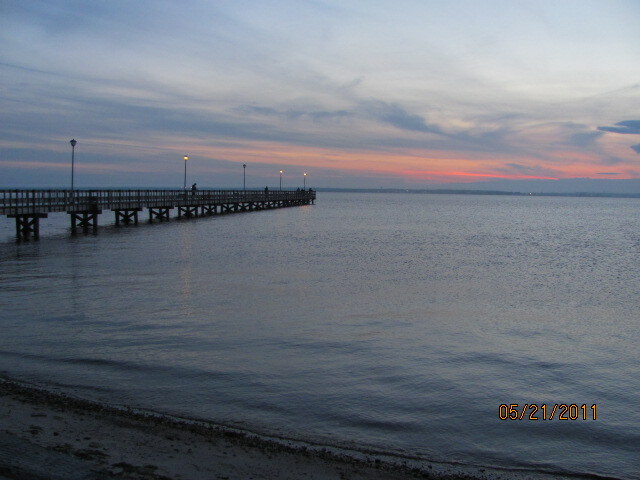 I was pleasantly surprised to learn of this pier on the other side of Seaside Park. 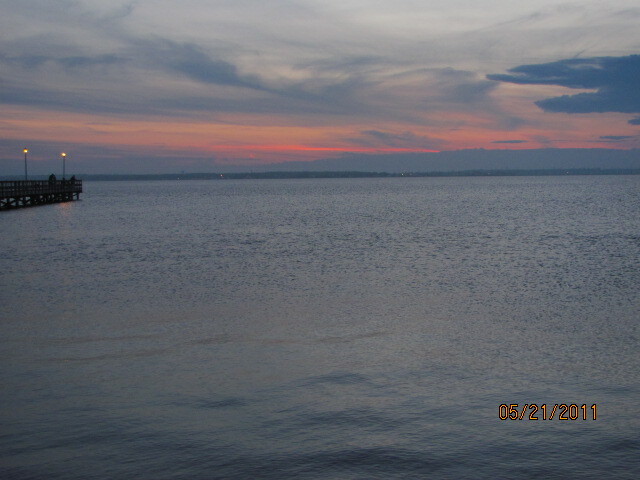 Instead of continuing on the main road, I asked my hubby to make a left and see where the road goes; once we took a drive up and down the roads of both summer rental homes and those of year round ownership we came out along the other side of Seaside park to find this lovely view. That pier leads me right into the sunset! Good you took the diversion. Everytime I see a sky like this…. I ponder what an amazing box of colors God must have!!!! Thanks for sharing! And also for the sweet comment about my pillows. I ADORE them. They are not really dresses but, she made the fabric cut out to look like dresses. Did you go visit Jackie’s blog? She is an amazing artist. I just read one post after another & am in awe of her talent & the MAGIC she continues to create. Have a great weekend.